Contract Fell! Huge price reduction! Outstanding investment opportunity to purchase 57 +/- acres along Highway 86 between Elizabeth and Kiowa. This property is able to be subdivided and was one of the original homestead farms in this area and many of the original foundations are still there. This property has outstanding commercial possibilities but is currently zoned agriculture. The grain silo still stands! The home 1331 SF and has one bedroom and one full bathroom, a living room area and a full kitchen. The home features a huge open sunroom with slate and carpet. The main flooring throughout is a wood laminate. The home would make an outstanding office. 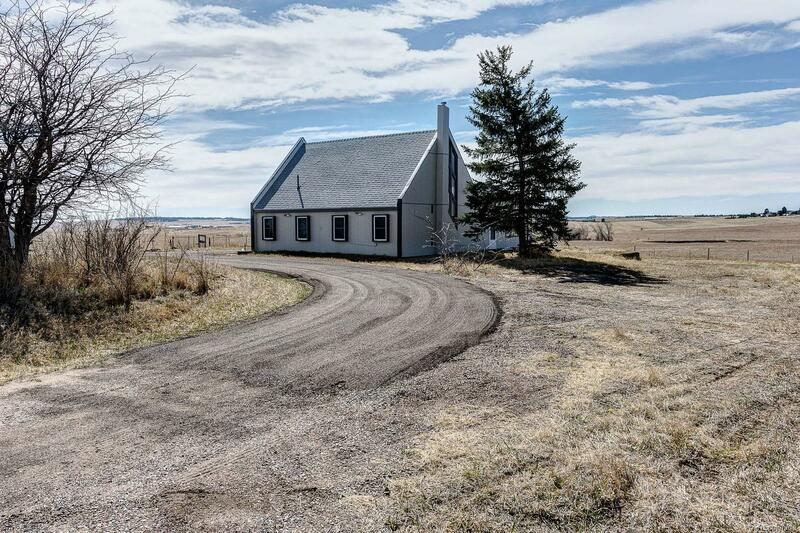 The property also offers a shop and great views of the town of Kiowa. The parcel lays lengthwise along the highway for easy access and has a domestic well. Survey available. Buyer to verify all information.